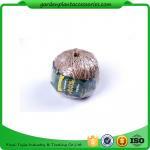 Luster Leaf Plant Labels 6in Plant labels to help remember what you planted and where. The item is manufactured in China. Luster Leaf's Rapiclip fasteners and ties are great for all yard and garden applications. Sturdy and durable they ensure your garden plants get the support they need. 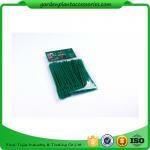 This soft plastic foam tie is foamed plastic surface, can soft protect plants. 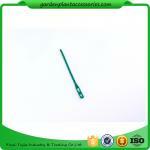 We are proud to be the essential source for superb quality strong cheap garden tools green soft plastic foam tie. 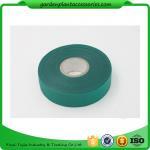 The cheap garden tools green soft plastic foam tie we offer come in a variety of sizes, and styles,Please contact us for a quote today or use the direct links below to many of our most popular products. Samples are available on request. 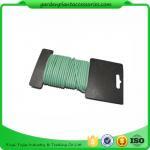 The foam twist ties for garden have a strong wire core surrounded by a soft foam exterior. 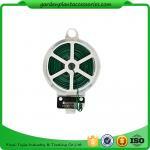 It's strong enough to support even the heaviest plants without any worries of cutting into or damaging it. * Helps support trees and plants. * Cut to required Length. 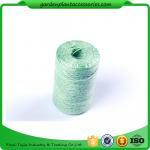 Wuxi Yu Jia Industry & Trading Co.,Ltd was established in Wuxi city affiliated to Su Jia Group. Located in the most developed steel pipes industrial area near the east coastal areas of China. 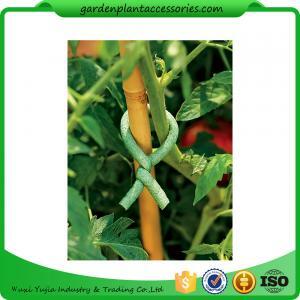 Our main products are steel garden stakes, bamboo garden stakes, tomato plant stakes, garden plant supports, garden nettings and related garden accessories. 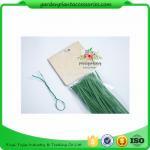 All the products we made are 100% for overseas markets, mainly to Japan, USA, Australia and European. follow-up ISO 9001, ISO 14000 and ISO 18000 regulation. 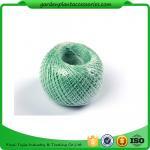 We provide kinds of garden accessories from all over the world in competitive price. For more news and information, please feel free to contact us.